As a homeowner, there may be times when you need to consult with a repipe specialist. How will you know when you need to call one? There are usually warning signs that will alert you when something is wrong. Your drinking water may become cloudy or unpleasant to the taste. The taps and showers in your home may work only intermittently, a sign that shower plumbing may be faulty. Should your home have a bathroom situated on the second floor, you may become aware of dark brown marks or stains on the ceiling just below it. Repipe specialists are plumbers who have in-depth training and knowledge in dealing with water pipes that become faulty. Should pipes be so damaged as to need actual replacing, these specialists would be the ones a homeowner would turn to for advice and expert help. While considering the various plumbing services available for your particular water problem, take note of the following! Deciding to repipe your home is an intensive and thorough task. Depending on the extent of the pipe damage, a repiping specialist may have no choice but to perform a total removal and replacement of your degraded pipes. This is not easy and may even include having your walls opened up to gain access to pipes. In this instance, the walls will need to be rebuilt or patched again when the job is finished. If you have any questions, discuss all the available options with a repiping specialist to gain understanding regarding the whole procedure. While a total repiping of your home may seem invasive and costly, there are definitely many benefits to be had. Replacing damaged pipes in this way will ensure a reliable new pip system that will last for as long as 25 years. An alternative to repiping would be dealing with problems as they arise and utilizing plumbing services. This will entail the owner having the pipes fixed as and when they become faulty. This could go on and on, with new water problems manifesting over time. Years of attempting to sort the problem out in this manner could end up being a very costly exercise. You may find that you call for shower plumbing services on a regular basis! One can also only imaging the money that may inevitably be spent by the home owner on water damaged items such as ceilings, floors, furniture and carpeting. Once you decide to have new pipes installed, repiping specialists will map the entire water system in your home. Included in this map will be all the water points, taps, sinks, and shower and laundry lines. At this juncture, the owner should carefully remove valuable items from the home to protect them from water damage. Any pieces of furniture that cannot be stored elsewhere should be covered with waterproof plastic sheeting. To combat delays, the owner should ensure that he has arranged for his water supply to be disconnected on the day the repiping specialist is due to arrive. 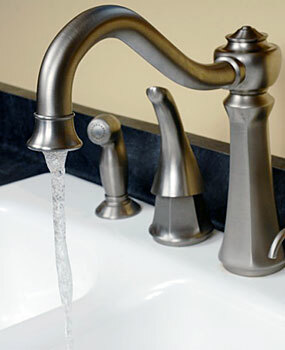 The water will need to remain disconnected for the duration of the repiping process, which typically takes up to five days. Before the work begins, the homeowner will be instructed on everything that needs to be done prior to the job commencing. Once repiping specialists begin work, an opening is created in the main access area and the pipes are removed via the walls and ceilings. Section by section, new pipes are then expertly fitted throughout the home. If any reports are required, a plumbing inspector will arrive at this time to inspect the work already done and compile a report. Once he deems the work to be satisfactory, the testing process can begin. The repipe specialists now check for leaks, addressing any problems quickly and efficiently. Once they are satisfied, it is time for the next and final phase. All that remains now is for the repipe specialist to organize the rebuilding of any walls that may have been opened or damaged during work. Utilizing the skills of a dry wall expert, the replacement of the walls can now commence. Dry wall experts try to ensure that walls are rebuilt to the standard they were at the beginning of the repiping process. It may take as long as 48 hours for the paint and plaster to dry completely. The repipe specialist will be available to offer advice during the entire process. He will be able to answer questions regarding the job, including exactly what needed to be replaced. He can also advise the homeowner regarding warranties. Soon, it will be time to have the water turned back on. Once you move your items back in, you can relax and look forward to many years of stress free plumbing.